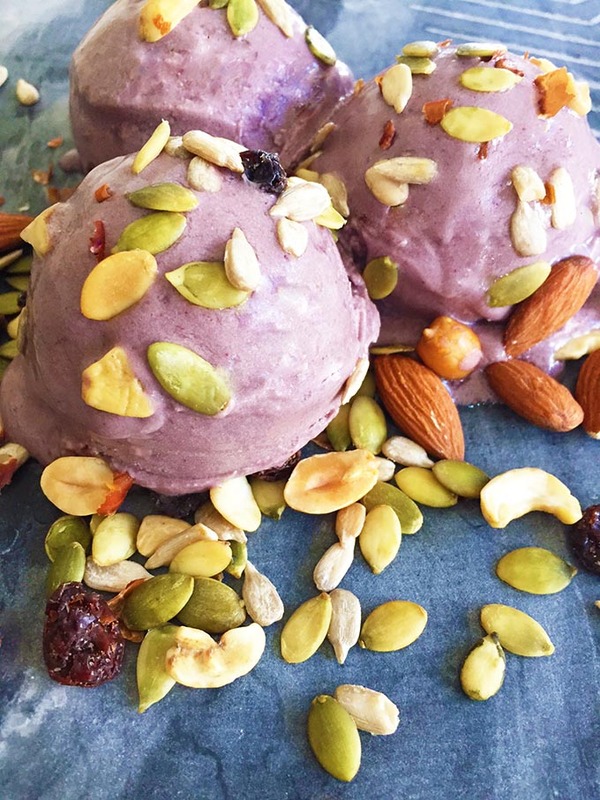 Intuitive & Visionary Açai Ice Cream! Today’s simple superfood ice cream will get you breaking out the blender or the ice cream machine every day this Summer (or all year, like I do!) ! The wild indigo violet color and the very high vibration of açai are tuned into the third eye (6th) chakra. This power station of the body is all about intuition, personal vision and clarity of purpose. If you’re having trouble figuring out what to do next, you feel like you’re vision of the future is too cloudy or you’re not quite connected enough to your intuition, balancing this energy is awesome! This ice cream, packed with nutrition and deliciousness, can even be a smoothie or ice pops, and it’s a fantastic way to mix more very joyous energy into your day! Plus… it’s beautiful! nuts, berries or granola or fruit that you love for toppings. Blend up everything but the toppings and pour into an ice cream machine. It’s purple perfection in less than 20 minutes! To make without an ice cream machine: freeze your bananas (use 3) and refrigerate the coconut milk so the cream separates). Add the frozen bananas, açai, honey and just a few spoons full of the cream of the coconut milk that rises to a blender. Use a tamper if you have one to blend it well. Add extra cocunut milk (the liquid) as needed to create a creamy ice cream then freeze for at least 15 minutes so it stays firm. It’s well worth getting a simple ice cream machine – I use it every other day in the summer, one of the best kitchen investments ever! Do You Have A Prosperous Mindset?! 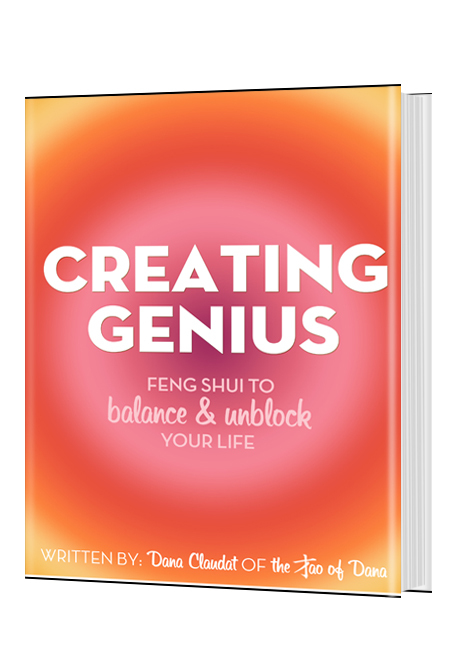 Previous post: Feng Shui To Create Habits That Un-Stick Your Life & Expand Possibility! Next post: 5 Feng Shui Ideas To Create More Flowing & Fulfilling Prosperity!